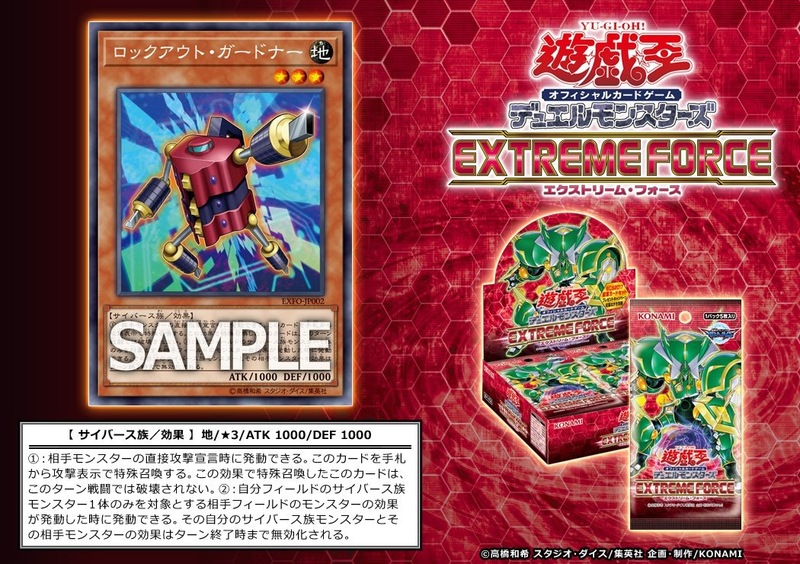 First news of the day reveals a new card for Extreme Force and its Yusaku’s new Gardna! PS: We expect a lot more news today so make sure you stay tuned!! (1) When an opponent’s monster declares a direct attack: You can Special Summon this card from your hand in Attack Position, and if you do, it cannot be destroyed by battle during this turn. (2) When a monster effect is activated on your opponents field that targets exactly 1 Cyberse monster you control (and no other cards) (Quick Effect): You can activate this effect; both that Cyberse monster you control and that opponent’s monster have their effects negated (if any) until the end of the turn.